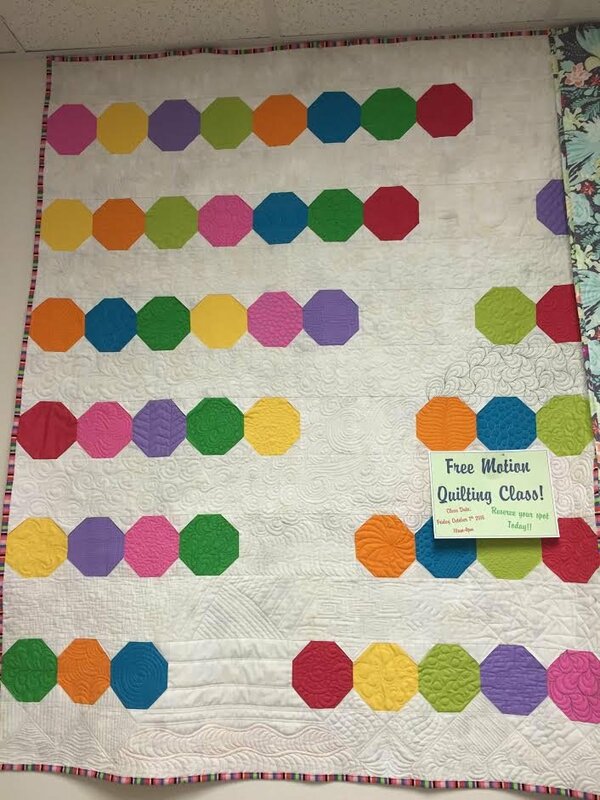 Learn the basics of quilting your quilts on your home machine... a variety of techniques for free motion design will be covered in class and working on a large quilt will also be demonstrated. Initial practice projects will be "sandwiches" of 12-14" squares of scrap fabrics ** or muslin, nothing that you will be using in an actual quilt...just for practice! Once you have honed your skills, you can move on to an actual quilt or throw. Click for a printable version of the supply list.